If you’re interested in gothic literature, the British Library is currently running an exhibition called Terror and Wonder: The Gothic Imagination. From the birth of the vampire to Frankenstein’s monster, from creepy houses to cobwebs and capes and from driving rain to flashes of lightening and roaring thunder, it has it all. The setting and the lighting, combined with the natural hush of a library, all contributed to a brilliantly creepy atmosphere and there was an amazing selection of rare and old books and notes on display. The first part of the exhibition focused on how the ‘gothic’ theme really came into being, with a focus on the first gothic texts. While this gave me some good ideas for potential reading material, I really enjoyed the second part of the exhibition, which looked at gothic in the Victorian times all the way through to the impact of gothic style on modern clothing, film and culture. Particular highlights for me were the handwritten draft of Mary Shelley’s Frankenstein, the vampire slaying kit and an original newspaper with illustrations and speculation on Jack the Ripper. I also really liked seeing how the gothic theme is still being given a new lease of life today for children and teenagers, both in literature and in popular culture. The ever popular Twilight series made an appearance, alongside Coraline or even Lemony Snicket’s a Series of Unfortunate Events. The inclusion of Victorian mourning dress next to what we now think of as ‘goth’ clothing was really interesting and there were some great photographs that also helped to give the exhibition a more modern element. If you’re interested in going, ‘Terror and Wonder’ is on until 20 January, so you still have a few days left to catch it! 1. 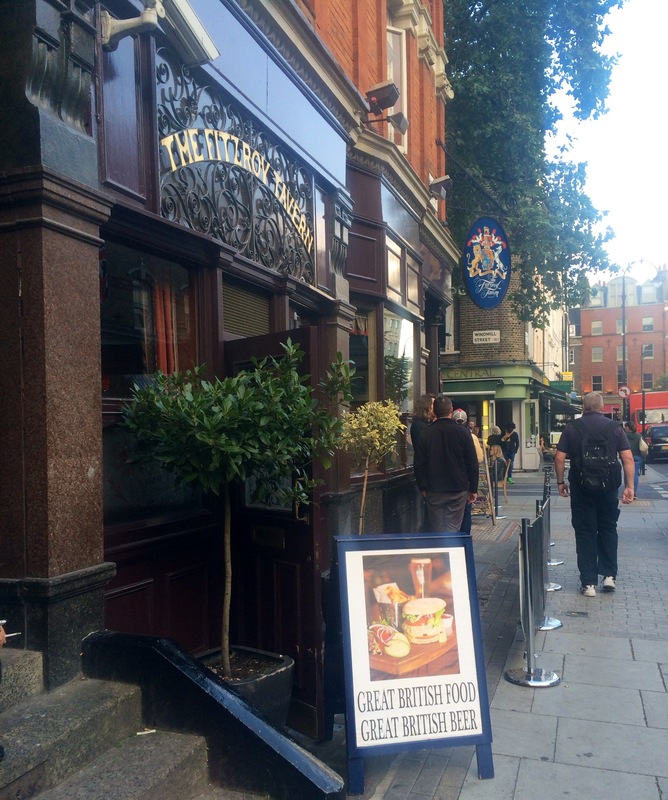 If you want to combine some literary attractions with socialising with your not-so-book-geeky friends, Fitzrovia’s pubs are overflowing with literary history. The historically bohemian area has been home to many literary greats – from Virginia Woolf to George Bernard Shaw. The Fitzroy Tavern and the nearby The Wheatsheaf were both frequented by some of the UK’s literary stalwarts in their day. The Fitzroy Tavern in particular is full of photographs and steeped in history and tradition – George Orwell and Dylan Thomas were regular drinkers here. 2. The British Library often hosts literary events and talks. They currently have an exhibition on called ‘Terror and Wonder: The Gothic Imagination’, which looks the impact of the gothic theme has had on our culture, featuring iconic works like Mary Shelley’s Frankenstein and Bram Stoker’s Dracula and going all the way through to Twilight! I haven’t been yet, but it’s on my to do list! If you explore the events page on the library’s website, there’s usually something on to suit all ages and interests. 3. 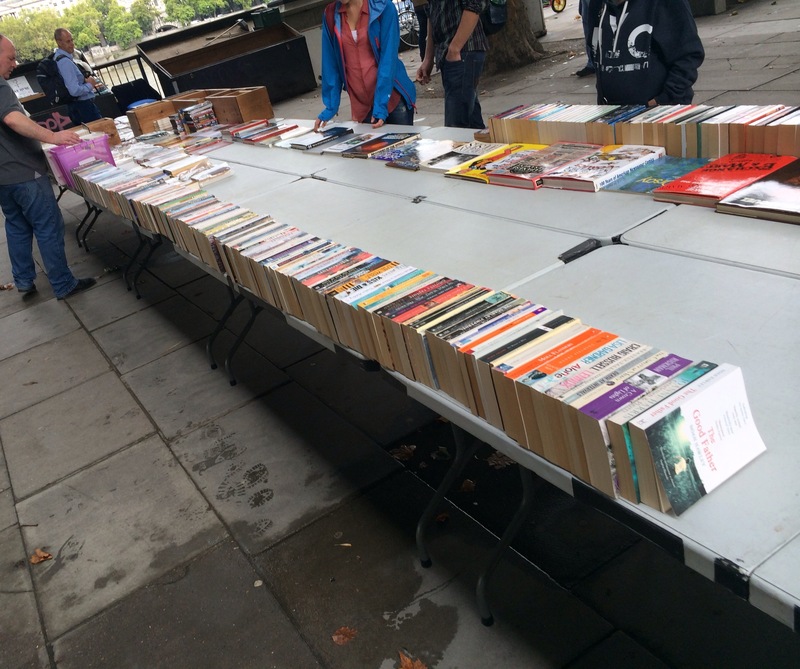 For second hand book-lovers, the book market under Waterloo Bridge is a must see. It’s open every day and usually offers a huge selection of pre-owned or antique books for great prices. It’s just outside the Southbank Centre and the river bank itself often plays host to events and food festivals, meaning there’s always plenty more to do and see in the surrounding area. 4. Southwark’s Shakespeare’s Globe theatre is another one that has to feature on this list. Today’s theatre is a reconstruction of the famous Elizabethan playhouse. Performances of Shakespeare’s works are as authentic as possible – there are no spotlights or microphones and all music is performed life – and all of the materials used in the building mirror the original, right down to the fact that the theatre has the only thatched roof allowed in the city since the Great Fire of London in 1666. Although plays are only performed during the summer months, thanks to the open-air nature of the building, educational tours are available all year round. 5. Finally, Bunfields Burial Ground is the resting place of some of the UK’s literary greats, including William Blake and Joseph Defoe, and is always worth a visit. It may seem macabre, but it’s just a short walk from Old Street tube and the park attached to the cemetery is a beautiful spot to enjoy on a sunny day. With over 2 million copies sold worldwide, Gillian Flynn’s Gone Girl was one of the most talked about books of the last year- and rightly so. A dark and disturbing thriller, Gone Girl is the story of the disappearance of a seemingly perfect wife on her fifth wedding anniversary. For Nick, left behind in smalltown Carthage, Missouri, Amy’s disappearance plunges him into a waking nightmare. As the police and the American public begin to turn against him, it’s clear that something about his take on recent events doesn’t quite add up. The first part of the novel switches between Nick’s first hand experiences of the days immediately after the disappearance and Amy’s diary entry’s, dating back to the day that they first met. But as the book progresses, we begin to realise that the two narratives we’re hearing are telling very different stories, and that at least one of the two of them is not telling the whole truth. In fact, they’re telling anything but the truth. Then – and there are spoilers coming up so if you don’t want to know, don’t read ahead – the second half of the book hits and we realise that we have two very unreliable and wholly unlikeable characters on our hands. Both Nick and Amy are lying, concealing and misleading both themselves and the reader. It’s a bold move from Gillian Flynn, as she runs the risk of alienating her audience. Not everyone wants to read a whole novel with central characters they can’t relate to. But in this case, it’s a risk that really paid off. Nick and Amy are human and throughout the novel they display very human weaknesses. Whether they have any redeeming qualities is a very different matter. Gillian Flynn really ramps up the tension and holds her readers in suspense the whole way through. 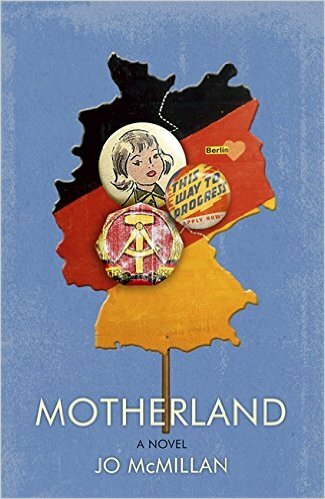 I was hooked and couldn’t put it down until I turned last pages in the (very) early hours of the morning! 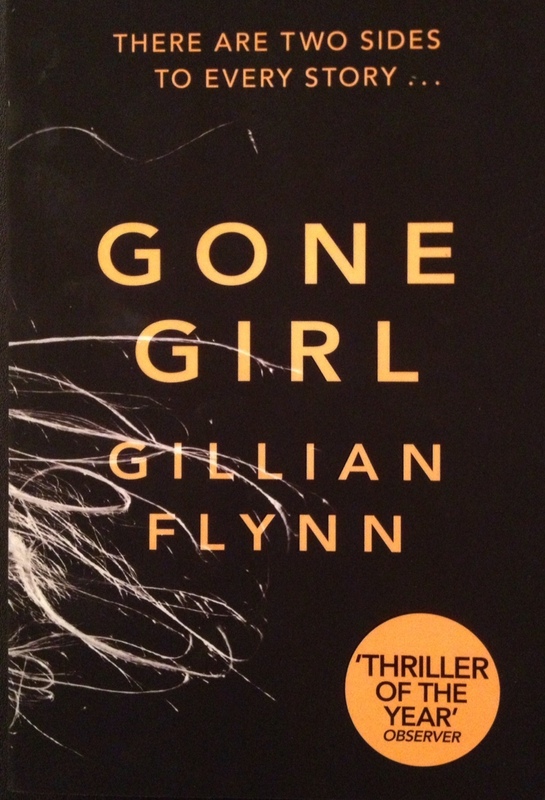 Ultimately, in Gone Girl Gillian Flynn has created a master psychological thriller that thoroughly deserves the praise that has been heaped upon it. 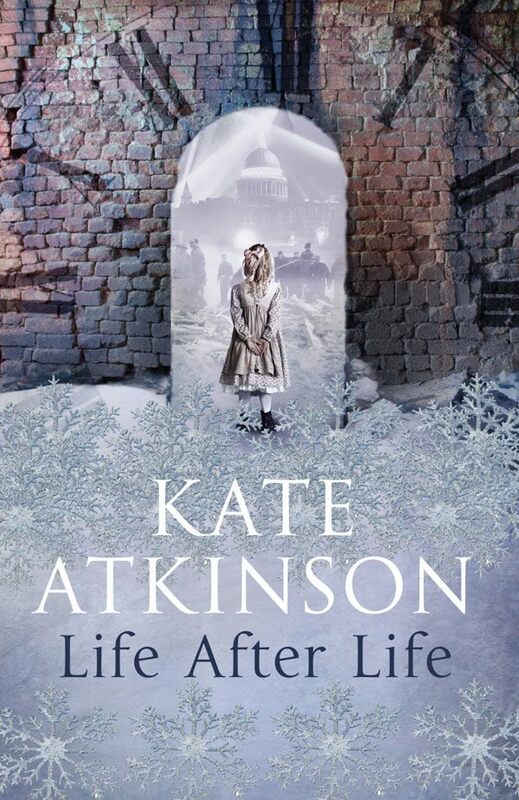 Devastated by the loss, June forms an unlikely connection with a strange man she sees at the funeral who might just be able to understand what she’s going through. The fact that this man is someone who her parents clearly don’t want her to know anything about is one more obstacle that June must overcome in her journey to make sense of recent events. Along the way, she must also find a way to reconnect with her older sister, Greta, who is dealing with issues of her own. 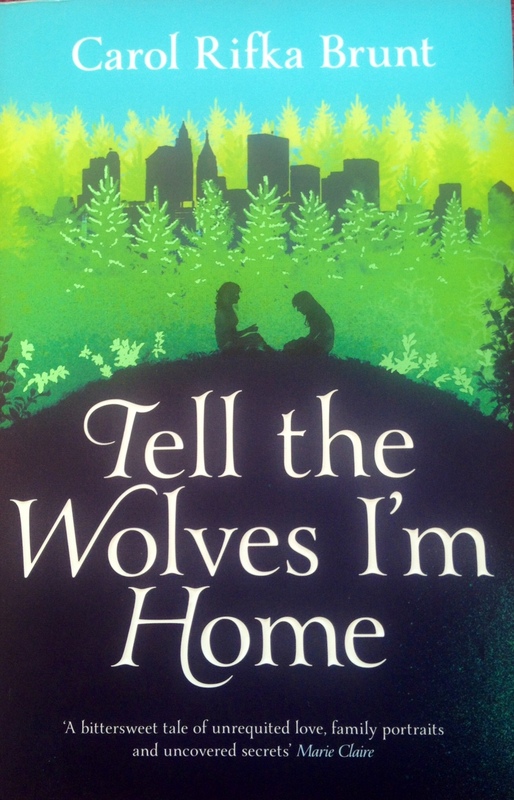 ‘Tell The Wolves I’m Home’ is not just a novel about a family in turmoil. It’s also a novel about love and loss, friendship and jealousy, guilt and regret – and everything else in-between.Each member of the family has their own demons to tackle, and throughout the novel we’re right there with them as they attempt to come to terms with their feelings and mend the cracks in their relationships. The author takes a difficult and highly emotionally charged topic and addresses it in way that’s both sensitive and refreshingly honest. As well as looking at the realities of living with and coping with AIDS, she also examines people’s responses to the disease, which in the mid-1980’s were all too often misinformed and misguided. I found it hard to believe that this was Carol Rifka Brunt’s first novel. She writes with unerring compassion and conviction to create a vivid cast of characters that really come to life in the imagination of her readers, and I can’t wait to see what she comes out with next. Sometimes when you pick up a book you just know that you’re not going to be able to put it down. Erin Morgenstern’s The Night Circus was one such book for me. Essentially, the novel tells the story of two competing magicians and their protégé’s Celia and Marco. Against the backdrop of Le Cirque des Reves (The Circus of Dreams) these two trainees are pitted against each other in an elaborate challenge that spans years and binds the two young protagonists together in more ways than one. Competing to out-do each other with displays of increasingly brilliant magic, neither Celia nor Marco know how or when the contest will end. All they know is that there can only be one winner. The circus, with its wonderfully individual and meticulously described signature clock and its individual tents with fantastical names like the Pool of Tears, appeals to all the senses. Every detail is recorded with such brilliant imagination and detail that the reader is transported there through the pages. Add to that the fact that the circus only appears at night, and the whole book feels as if you’ve entered a magical (quite literally!) dream world. In the end, the circus itself is central to the survival of Celia and Marcus, who battle to save their love against all odds and against the will of magic itself. I’m actually jealous of all those who have yet to read this as I’d love to do it all over again. I’ve been searching for another book like this but as yet I’ve been running up against a brick wall. Any suggestions from other Erin Morgenstern lovers would be more than welcomed!